The 2018 Bayer Bee Care Young Beekeeper Award provides entrants between the ages of 12 and 18 the opportunity to win a $3,000 (1st place), $2,000 (2nd place) or $1,000 (3rd place) prize to support honey bee-focused initiatives in their schools or communities or to be applied toward college tuition. Any student under 18 who has approval from a legal guardian as well as a sponsoring mentor, such as an apiarist/beekeeper, grower, community leader, teacher, school official, etc., may apply. To apply, complete the entry form, essay questions, and provide contact details for a sponsoring mentor (see approved mentors above). The award winner is selected from the applicant pool by a panel of industry judges. For several years, Bayer Bee Care has granted the Community Leadership Award to adult beekeepers who work with community partners to support and promote bee health. Last year, a separate prize was opened to young beekeepers, who applied for the funds to support honey bee-focused initiatives in their schools or communities. Given the overwhelming response and excellent quality of last year’s youth applicants, this year the program has shifted to become the Young Beekeeper Award, which will recognize the next generation of beekeepers and their efforts to give back to their communities through beekeeping and other activities that support honey bee and pollinator health. The Young Beekeeper Award originated in 2017 as part of the Community Leadership Award program. 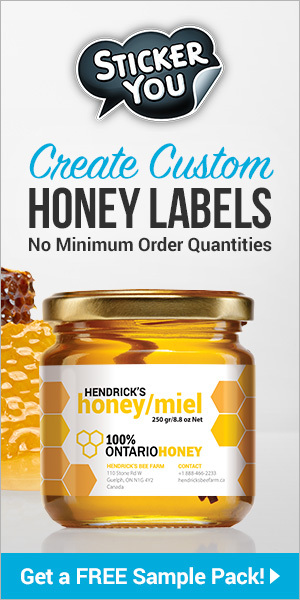 It recognizes individuals who have created a unique project individually or with partners in their local communities to promote and protect bee health for years to come. If you’re the one in your group of friends who is passionate about the future of our food and our fuzzy friends, then this award may be just for you! You can win some serious dough for school or to further your projects. Each entrant has a chance to earn a $3,000 (1st), $2,000 (2nd) or $1,000 (3rd) prize, which can be used towards their beekeeping project or to continue their education, such as applying toward college tuition. 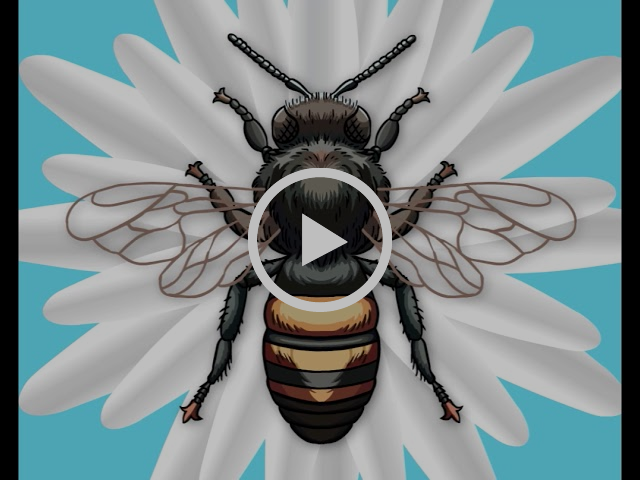 You can spread the word about your pollinator program. Last year’s winner, Jake Reisdorf, was one of more than 20 young applicants leading the way for the next generation to inspire others within the beekeeping and pollinator space. 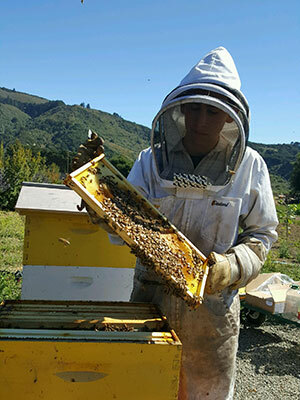 Jake, a 15-year-old beekeeper from California, is a high school student who manages more than 100 hives and runs his own business, Carmel Honey Company. While Jake was already a star of his community, winning the Young Beekeeper Award brought him into the national spotlight through multiple interviews and participation at conferences that bring together people from all over the U.S. In fact, Jake just wrapped up a speaking gig at this year’s AgVocacy Forum in Anaheim, where he was surrounded by Bayer executives and industry leaders for two days. If you’re between the ages of 12 and 18 and already working with pollinators, you’re eligible! Anyone between 12 and 18 years old can apply for a Young Beekeeper Award. Applicants must be actively participating in the beekeeping space. 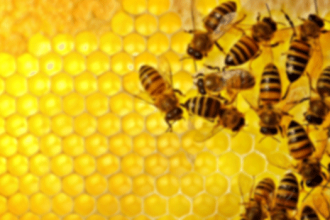 This can be in the form of a school or community project; hive management as a hobby or family business; or research into the factors affecting bee health. In other words, we want to know what you’re doing to support honey bees and other pollinators in your community! .6. Your work will be seen by leaders in the beekeeping industry. This year’s panel includes last year’s winner, Jake Reisdorf; Becky Langer, the North American Bee Health Project Manager; and Kim Flottum, the editor-in-chief for Bee Culture Magazine. Believe us, these three know honey bees and the significance young beekeepers play in pollinator health. Our Young Beekeeper Award winners will be announced during National Pollinator Week, June 18-24. Previous articleCATCH THE BUZZ – Nationwide Reveals Most Common Agribusiness Insurance Claims. Motor Vehicle Accidents are the Number One, but spray drift is Number Three! !